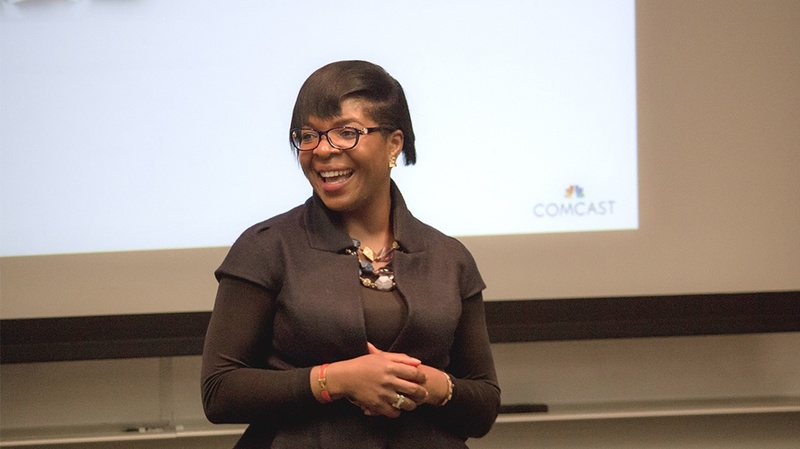 It doesn’t take long to realize that Yasmine Ndassa, PhD, Senior Director of Business Process Analytics at Comcast, is a born storyteller. Speaking to a crowd of graduate and undergraduate students in LeBow’s analytics programs, Ndassa shared her know-how about making smarter decisions using data. “I can easily tell you what happened yesterday and today; but using data, I can tell you what might happen tomorrow.” Positioned at the intersection of media and technology, Comcast measures the customer experience by asking questions and referring to the data to determine how to address them.